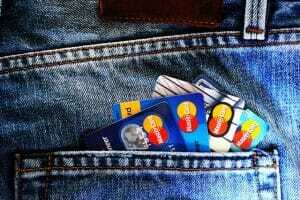 Changing the way you use your credit cards can be the easiest way to avoid amassing unmanageable credit card debt. Treating them as if they were charge cards is a great place to start. The terms credit card and charge card are often used almost interchangeably these days. In reality, though, they are two very different creatures. A charge card is a tool of convenience, whatever you spend has to be paid off at the end of every month or there are serious financial consequences to be faced. Such a card, like the American Express Platinum card, has no set spending limit. Instead, purchases are approved on a case by case basis, approval is dependent upon your income and your perceived ability to pay the debt off at the end of the month. Balances cannot be carried over from month to month and if you do not make payments on time your credit line is cut off. A credit card, on the other hand, lets you spend, spend, spend until you reach your limit, while still sliding by paying only the small monthly minimum charge. This is why it is so easy to run up credit card debt. It is indeed very tempting to charge another £100 dress or video game when you know you will only have to pay £25 on your credit card bill in a fortnight. Trouble is, once you factor in the interest, that £100 impulse buy may take you months, if not years, to pay off. You can avoid getting into credit card debt you cannot handle by learning to treat your credit cards as if they were charge cards. If you can motivate yourself to limit your spending to just what you can realistically afford to pay off at the end of each month then you will reap some very real benefits. Beginning the month with a zero balance means many credit card companies will give you interest-free days until your next payment is due. Get into the habit of paying off your credit card balance every month and you may never pay interest again. You will not lose out on any of your perks, and your responsible financial behavior will look great on your credit file. If sticking to your resolve to cut your credit card spending proves hard, which it probably will, you have to find a way to motivate yourself to change. Rewarding themselves for good behavior can work well for some. If you pay off your credit card balance you get to go to the movies, or treat yourself to an extra Starbucks latte, something along those lines. If that does not work try imposing a late fee on yourself or have someone else do the dirty deed for you. Every time you do not pay off your balance in full at the end of the month you lose something, either financially or personally. Many people find that this negative approach to be far more effective, especially if it means giving up something you really love.